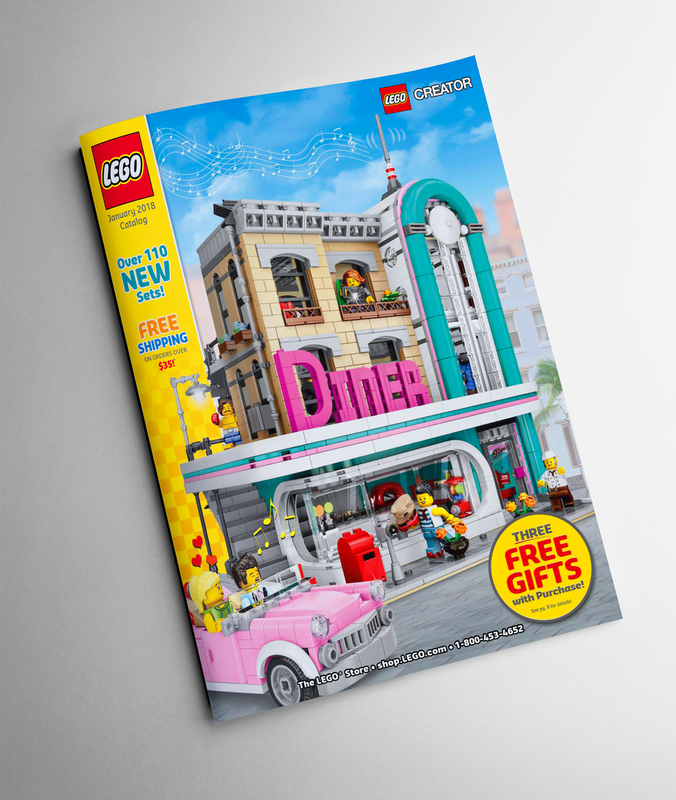 Various covers and spreads designed for the LEGO Shop At Home Catalogs; which are distributed across North America and Europe. The objective is to display current sets and products for sale; while also engaging both the consumer (kids) and the shopper (parents, adults, etc.). I was tasked to design a creative cover that incorporated the 2017 North American Holiday Campaign - "Shake up imagination". 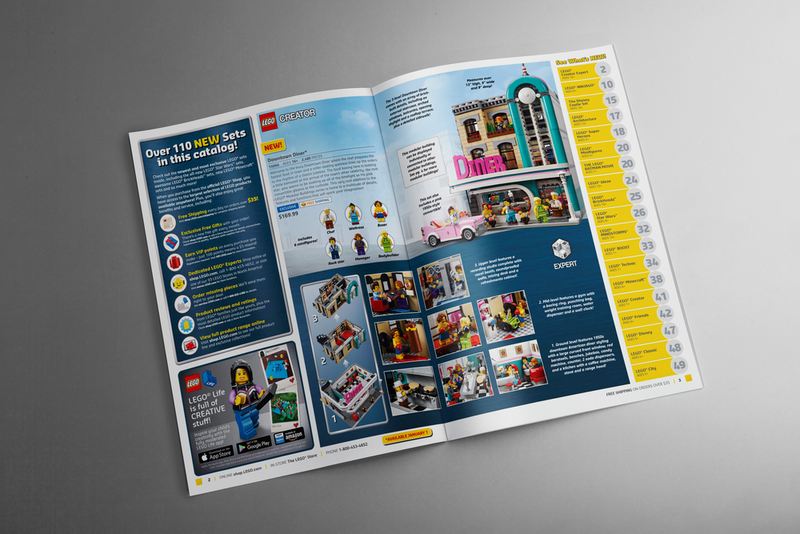 This is a straight forward design and most of the catalog covers like to showcase a new product; while also telling a story and bringing the mini-figures to life. Table of contents, catalog features, ad, and full spread about front cover set (see above). Full bleed spread about LEGO Technic line and highlight feature of this new set. Center spread showcasing the most anticipated and biggest LEGO set ever! Center spread for US Fall Catalog which shows not one, but three new Star Wars sets.